With more than 50 routes of varying difficulty, the ARC Climbing Wall is a modern facility that offers something for everyone. If you're new to climbing, our friendly and helpful staff will help you get started with everything you need to know. If you're looking to push your abilities to the next level, the wall's realistic rock-like texture and features will help you refine your technique indoors. Bring a belay-partner or just drop by and meet new friends. Check out Classes and Trips on the Outdoor Adventures web page to learn how you can climb outside. 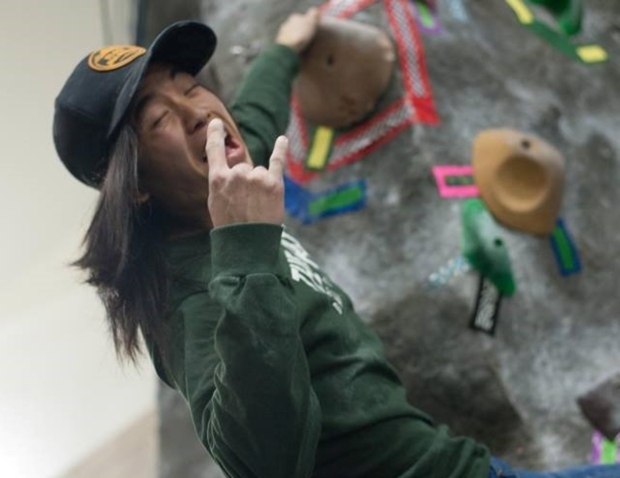 Learn the basics of Rock Climbing at the ARC Rock Wall. Our experienced staff will teach students the ins and outs of top rope climbing throughout this 3 hour course. You will learn knots, proper belay technique, climbing terminology and vocabulary. This course is not a requirement to use the ARC Rock Wall. Interested in the Rock Wall but want to try it out before buying a pass? Come join us for our free climb nights this Spring! To purchase a Climbing Wall Pass, please stop by the ARC Membership Services Desk or visit our online store here.